Hildegarde has been a student of yoga since 1973, trained by Yogi Amrit Desai and the senior yoga teachers at the Amrit Yoga Institute. She has received her 200 hour yoga teacher certification. Hildegarde is certified as a Reiki II practitioner through her training at the International Center for Reiki Training with William Lee Rand and Praticia Williams. 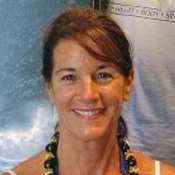 Hildegarde is also a Level II Soma Energetics practitioner, as trained by David E. Hulse D.D. In addition, Hildegarde holds a degree in Fashion Merchandising and is the owner of Simply Blinds by Hildegarde in Cape Canaveral, Florida. Hildegarde truly feels she is following her passion, by assisting students on their journey toward integration or body, mind, heart, and soul. Hildegarde instructs Guided Yoga Nidra and Amrit Yoga. Please see the class schedule for more details. 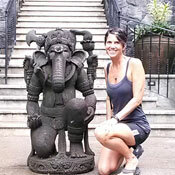 She is certified over 900 hours and has practiced various styles of yoga for over 30 yrs. and has been an instructor for over 20yrs. Her classes offer a masterful blend of alignment for body, mind and heart. Owning and practicing massage therapy (MA4144) at the Therapeutic Health Center in Cocoa Beach has been a life long commitment in helping people feel better. She believes Yoga, Massage, and a Healthy Diet is a valuable asset for our health and wellbeing. Jill’s classes include Amrit-Vinyasa Yoga, Warm Power Vinyasa Yoga, EZ Yoga, and Chair Yoga all accompanied with Yoga Nidra. Please see the class schedule for more details. Kevin received his initial teacher’s training through Amrit Desai. 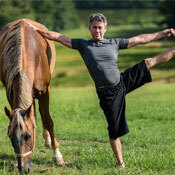 His continual training has included workshops with Kathy Budig and Wah! Kevin also received his yoga therapy training with Kamani Desai. 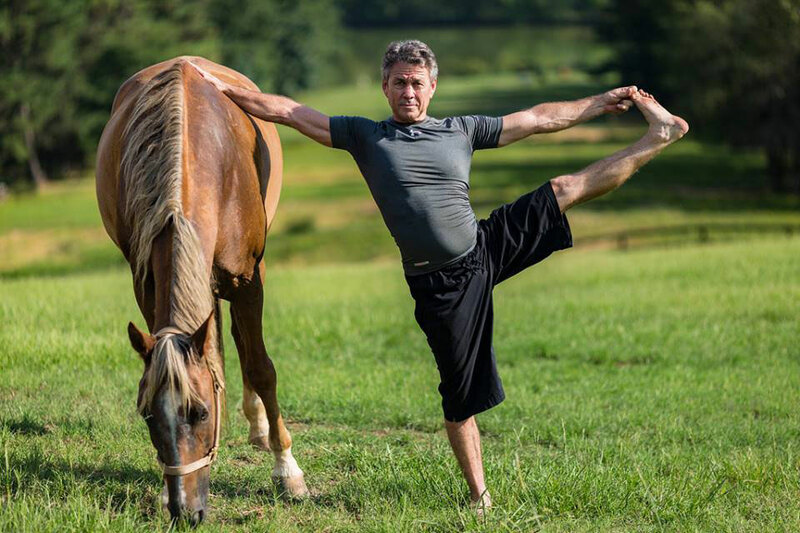 He practices yoga and meditation daily along with his duties as a Registered Nurse. Creating a mindful connection to the body, and a spiritual connection to the soul. Kevin instructs Hatha Yoga classes. Please see the class schedule for more details. Virginia Pierson has been a yoga practitioner for 10 years. She has tried a number of yoga styles including Hatha, Bikram, Hot Vinyasa Flow, Suspension/Silks, Acroyoga, Yin, Paddleboard and most recently Ashtanga. She loves to practice a challenging flow sequence that energizes her physically as well as mentally. She believes yoga transcends age, race, socioeconomic status, religion, sexual orientation, body type and level of education. She received her 200 hour teacher training in the fall of 2015 with Transcending Yoga under Alicia Chapman Maudlin ERYT-200. She teaches because she wants to share the wonderful, positive, transformative, physical and mental health benefits of yoga. She is and forever will be a student of yoga. Please see the class schedule for more information. Anthony Profeta is a medical-student-turned-meditation-teacher whose knowledge of meditation stems from 17+ yrs of intensive study and practice. 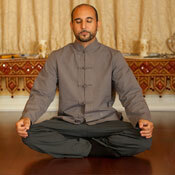 His passion for meditation began in 2000 with an initiation into a meditative tradition known as Kriya Yoga. This introduction into a formal practice sparked a fire within him for anything & everything meditation. And since that time, Anthony has gone on to study many different methods and received training in various monasteries throughout the US, Nepal, & India. Anthony is trained in Mantra, Visualization, Tantric, Zazen (Zen), Vipassana, Mindfulness, & Sound Meditation techniques. He has studied meditation with Japanese Grandmasters, Buddhist monks, Tibetan Lamas, Hindu Swamis & Yogis. While in Nepal, Anthony studied sound healing techniques using Himalayan Singing Bowl and recently furthered his study of sound healing with sound practitioner, Sara Auster. Anthony is most humbled by the blessed opportunity to study and learn from well-respected & well-known US meditation teachers, Sharon Salzberg & Jack Kornfield, as well as, “the heart son of the current Dalai Lama” – Lama Zopa Rinpoche. In 2016, Anthony’s Guided Meditations CD was released and available on Amazon, iTunes, & other sites. Anthony teaches a weekly Meditation Class on Saturday mornings at 11 am; offers a Healing Sound Bath Meditation on the first Thursday of Every Month; a monthly Chakra Balancing: Guided Crystal Bowl & Mantra Meditation; as well as, numerous workshops & retreats throughout the month. 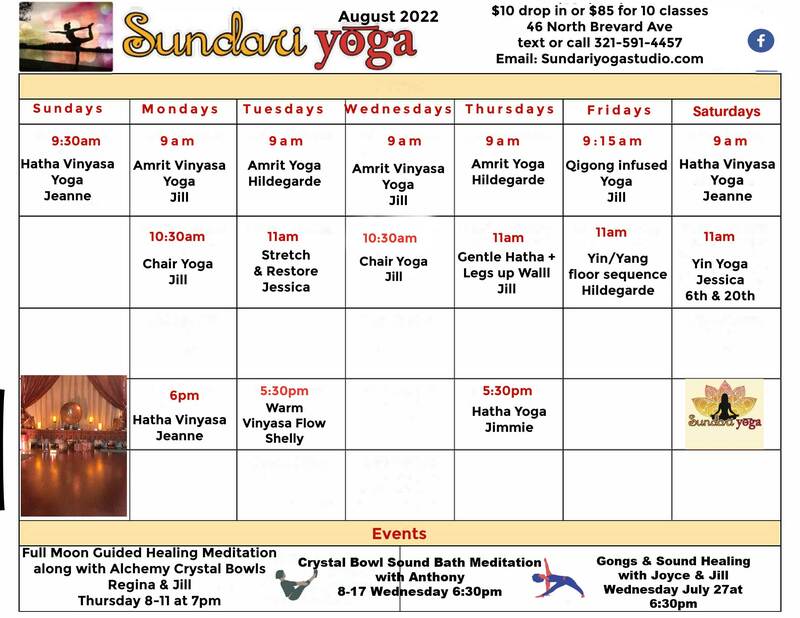 Please check the Sundari Yoga schedule/calendar for more details and specific dates/times. Originally from the San Francisco Bay Area. Arlene, her husband and son currently reside beachside. Having practiced yoga for many years, Arlene was looking for a solution to combat her lifelong anxiety. She found healing through faith and yoga. She felt that God led her to train as an instructor in the Holy Yoga Program, to help others. 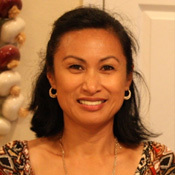 Arlene became a Certified R-HYI in 2015. Holy Yoga is Christ centered. Hatha yoga is practiced, along with prayer, breath work, a scripture and a short devotional. Christian music is also played. All levels and all people are welcomed. Arlene feels it is so important to take time out. To be still. To connect to our bodies, to connect with our breath. Most importantly, to connect to our Creator, that gives us life and breath. Finding peace and love, in him and through him, no matter the chaos that surrounds us. Taking each moment as a gift, a blessing, and truly receiving it. Since becoming a Holy Yoga Instructor, her faith and life have been transformed. She no longer suffers from anxiety. Best of all, she loves spreading the awesome love and word of God. Jeanne has been practicing and studying yoga for over 10 years. She is a 200-hr registered yoga teacher certified in the Integral Hatha Yoga style. Jeanne loves living life in Cocoa Beach and is thrilled to be a part of Sundari yoga studio. When she is not working or teaching, she can be found walking the beach, surfing the waves, or biking the streets of this small beach town. The peace and stillness brought by yoga is a gift Jeanne loves to share with all who attend her classes. She is delighted to share the practice in a way that encourages everyone to find the yogic union among body, breath, mind, and spirit. Catherine McCarthy is an avid world traveller with 10+ years dedicated yoga practice and a former engineering program manager in our local Space industry. She is humbly enthralled to teach at Sundari, received her yoga teacher certification in April 2018, and specializes in Vinyasa Flow for all levels as well as Restorative, Yin, and Chair Yoga.